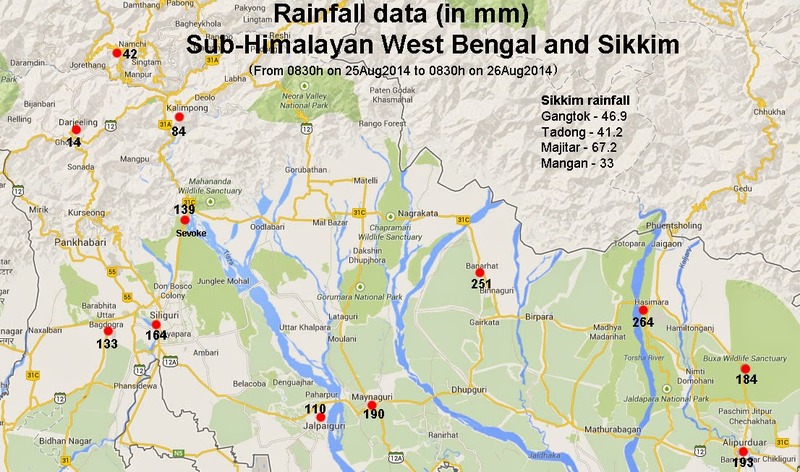 In Kalimpong, the precipitation was heaviest in thundershowers between 1.00am to approx 2.15am on 26Aug2014. As is evident from the rainfall data, the heaviest rainfall took place along the plains of the Dooars with the mountainous regions actually receiving much less rain as such no major landslides were reported. 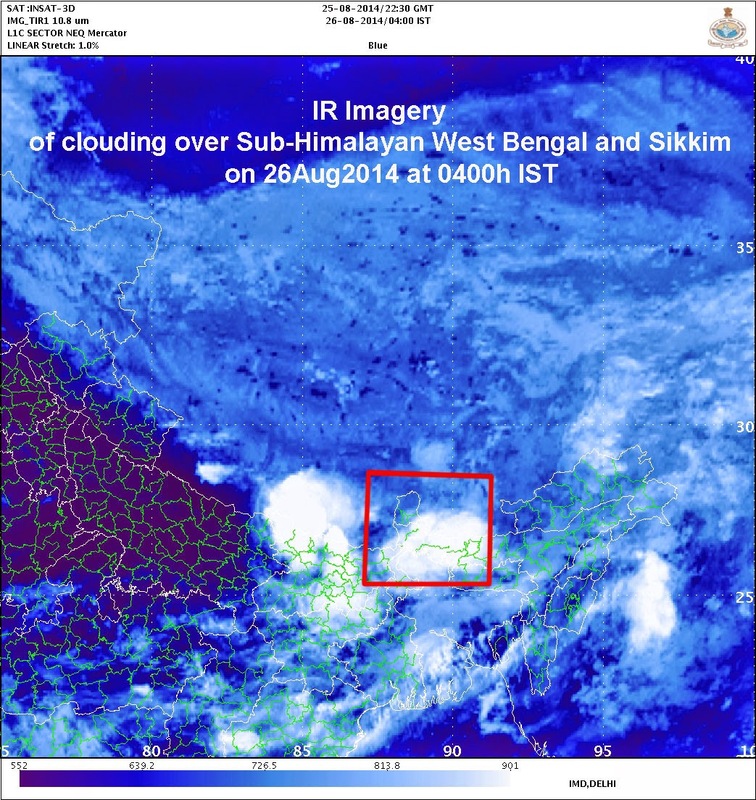 For more on the rainfall read here.